Our Aqua Rehabilitation classes are specialised to build up your muscles, mobility and fitness. You may find that rehabilitation in the water is one of the best ways to improve your quality of life. 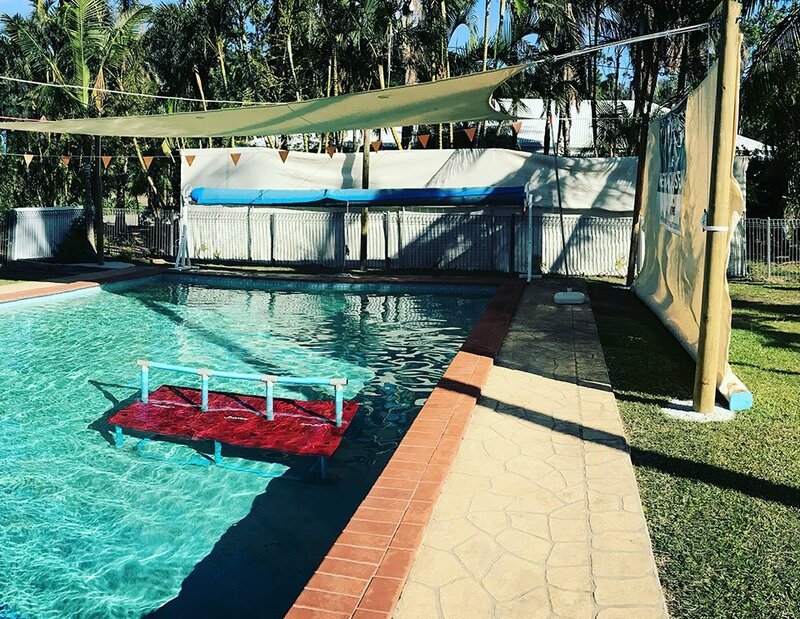 Our Pool is heated up to 32 degrees, the perfect warmth, so your muscles are able to warm up, relax and improve them without putting any pressure on your joints and bones. In your best interest, we treat everyone as individual in our classes. We keep the classes small (max 4 people) so we can focus on the persons who have different abilities and make them aware of proper movements and muscle activations in the way that they need. Increase in joint flexibility. Buoyancy offers a tremendous advantage because it reduces the effects of gravity allowing for an increased joint range of motion. Your affected body part will float, making it easier and less painful to move. The warm water also helps to relax muscles that are sore or tight. Increase in muscle strength. Water is 600-700 times more resistive than air which allows for strengthening of weakened muscles. Water resists rapid movement so equipment with an increased surface area is used to increase strength in the pool. A decrease in pain. Immersion in warm water increases an individual’s comfort, by increasing blood supply to sore muscles and promoting relaxation. Weight relief to weakened body structures also creates additional comfort. A decrease in abnormal tone, spasticity, and rigidity. Water temperatures above 32 degrees in conjunction with hands-on techniques are effective in creating a neutral warmth that reduces increased tone due to a neurological injury. 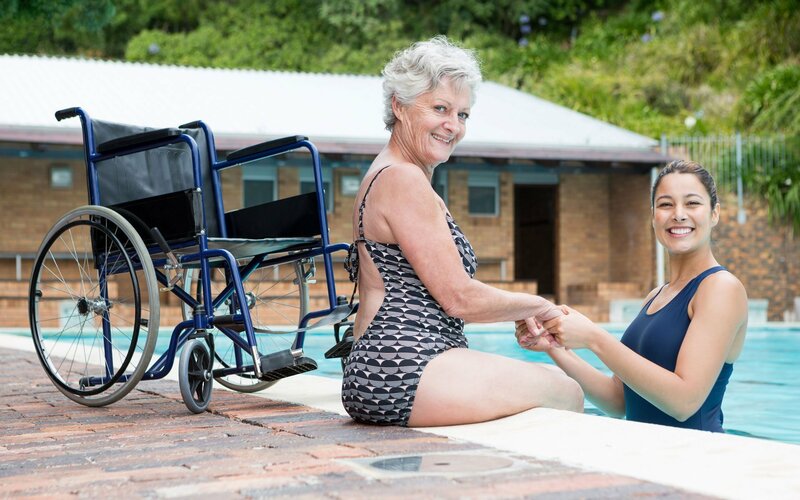 Aquatic Rehabilitation offered in our 32-degree therapeutic pool offers many advantages and benefits to individuals recovering from all phases of injury or illness. The scope of patient diagnoses treated in our pool is surprisingly vast, encompassing everything from post-surgical, non-surgical, orthopaedic, rheumatologic, and neurological to chronic pain.